There will be a Boat Fire Safety Talk at the Black Horse, Bath Road, Devizes SN10 2AU (between locks 47 and 48) on Monday 19th February 2018 at 7.30pm. There will also be one at the George in Bathampton on Monday 12th March. 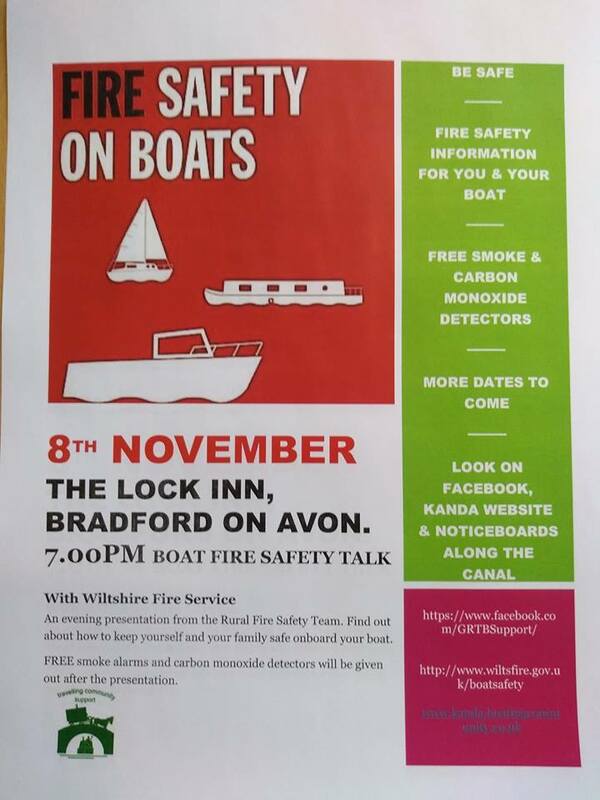 There will be a Boat Fire Safety presentation at the Black Horse, Bath Rd, Devizes SN10 2AU (between locks 47 and 48), on Monday 13th November 2017 at 7.30pm. There will also be one in the Bath area later this winter, the date is to be confirmed. Three Boat Fire Safety presentations are planned this winter so far. The first is this Monday 16th October 2017 at 7.30pm at the Canal Tavern, below the lock in Bradford on Avon.